End of Life for several Microsoft products could signal the beginning of data loss for customers. Microsoft has recently made several announcements about End of Life (EOL) on some products that likely are still running in your environment. Increasingly, an unpatched product no longer receiving security updates is a rich target for exploits or at minimum a compliance violation. Let’s review 3 recent announcements from Microsoft and determine if your organization is at risk. The following products will NOT have any software/security updates and will NOT be supported by phone/chat or additional support content. 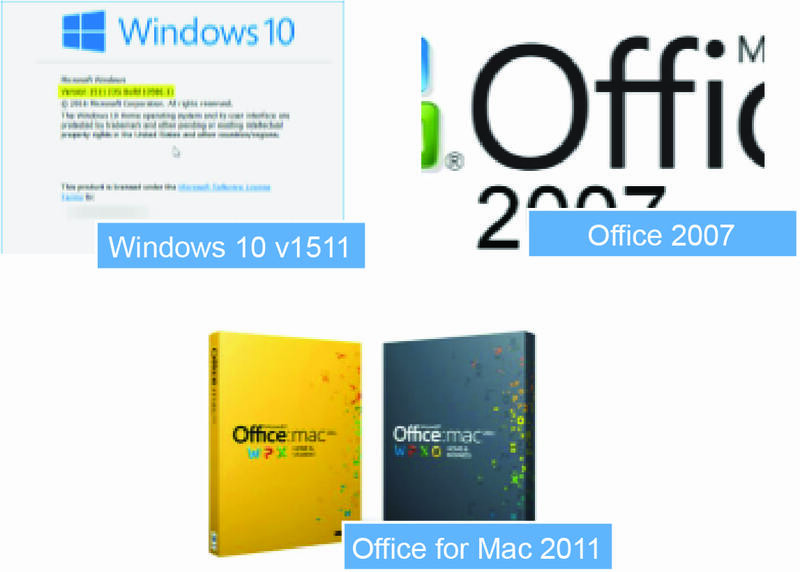 Office 2007 / Office for Mac 2011 – These products will continue to operate as they do today and there is little danger to functionality loss. From a security perspective, unpatched software in your environment is a clearly identified vulnerability as has been demonstrated repeatedly in the news lately. In the wheel of people / process / technology, even effective patch management practices and smart people do not trump weak technology. For further details on Office, review the Office 2007 End-of-Life Roadmap. Windows 10 v1511 – After October 10, 2017, Windows 10 devices running version 1511 will no longer receive security and quality updates. If you’re running v1511 (build 10586) or v1507 (build 10240), you potentially will have unaddressed vulnerabilities on those devices going forward. NOTE: the Windows 10 Anniversary Update (v1607) will be ending in March 2018. Options for all non-compliant versions include upgrading to Creators (v1703) or Fall Creators (v1709, due in mid-October). If you need assistance developing a strategy for addressing these issues or to learn more, contact us at info@peters.com. We are happy to help!